The need for safe transportation of each child to school and back home is of paramount importance to us. 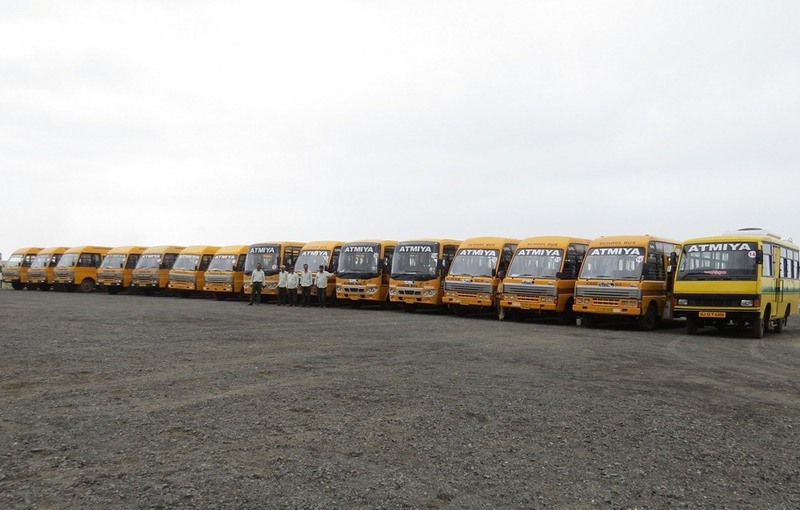 To ensure safe traveling the school has its own fleet of about 35 school buses designed as per standards and manned by trained drivers and CC TV Cameras with the personnel sensitized to the needs of small kids. For supervision and monitoring, a transport attendant is on board throughout the journey. Mobile phones have been provided in each bus that ensures efficiency in terms of service and better communication in case of emergencies. Besides ensuring the implementation of the safety norms, all staff members on the bus are well trained in the first aid and emergency service management.